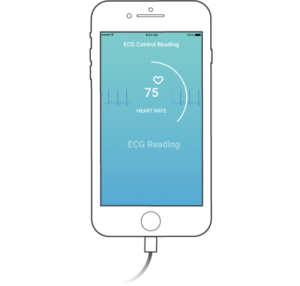 CardioSecur Active allows patients to record a powerful ECG when symptoms present and enables physicians swift diagnoses and effective therapy management. Patients record a clinical 15-lead ECG at the onset of symptoms, allowing in-depth analysis. 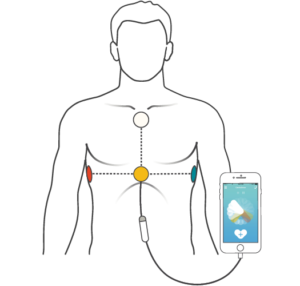 With only 4 electrodes and a smartphone, patients can record an ECG anytime and anywhere. 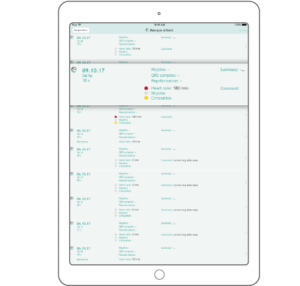 In-app pre-evaluation of ECGs in critical and neutral cases, allows you to allocate your time effectively. All ECGs and their pre-evaluation are securely transferred to you in a few seconds. 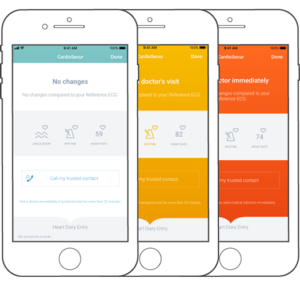 CardioSecur Active’s exceptional ease of use combined with unique data sophistication, enables physicians and patients to mitigate unnecessary visits and attain conclusive diagnosis. The system follows the method of intra-individual comparison. Each ECG is compared with the patient’s previously stored reference ECG to pre-evaluate any changes. The patient receives a direct feedback, if medical attention is required or not. As physician you receive extensive data (12-lead ECG plus V7-V9) from that moment. The CardioSecur method mitigates delays and consequential damage to the heart .